When it comes to the protective case for your gadget, look no further than Spigen Rugged Armor Case for Galaxy Note 9. 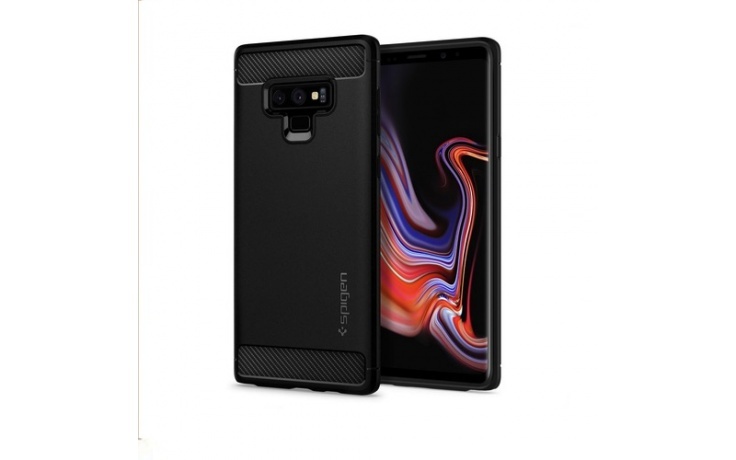 Made of both matt TPU and carbon fibre in a single layer, the Air Cushion Technology protects your precious phone against drops and stains while maintaining the Note9 aesthetic looks and slim profile. Nothing gives you more confident than knowing that your Galaxy Note 9 is in good hands or in this case, good cover. Build for maximum protection and long-lasting durability in mind, the raised edges protect the display, camera, and fingerprint scanner. The slim yet Military-grade case are drop-tested and grip-friendly to ensure your device stays firmly in your hand during work or play.